Did you know that the lowest recorded temperature in the world, of -133.6 degrees Fahrenheit, was in Antarctica? Did you also know that, even in Antarctica, glacial ice is melting? The Thwaites Glacier in Antarctica is rapidly melting, and scientists want to know how and why. Nearly 14 billion tons of ice have melted in the past three years, which has resulted in a 4% rise in our sea levels. Scientists in the United States and the United Kingdom have agreed upon a five-year joint research program to gather data on the glacier. The program aims to use computer modeling to predict how the glacier will respond to future warming. What is the Thwaites Glacier? The Thwaites Glacier is on Antarctica’s western coast and is about the size of Florida. It is known as a marine-terminating glacier, meaning that as snow falls on the glacier and compacts into ice, ice is also flowing out to sea from the front of the glacier. Typically, marine-terminating glaciers are balanced so that the rate of melting ice is equal to the rate of incoming ice. However, the Thwaites Glacier is in an imbalance. Ice is flowing out and thinning more quickly than it is compacting. Three years ago, NASA’s radar technology was flown over the Thwaites Glacier, leading to the discovery of a large cavern underneath the ice. This cavern was created by warm ocean water melting the ice shelf and over time, an ice formation was created. The cavern has grown to two-thirds the area of Manhattan and spans 1,000 feet tall, according to NASA’s Jet Propulsion Laboratory. The US-UK joint research program began with the launch of a ship called Nathaniel B. Palmer. This 52-day cruise has plans to gather data on the glacier through seal-tagging. 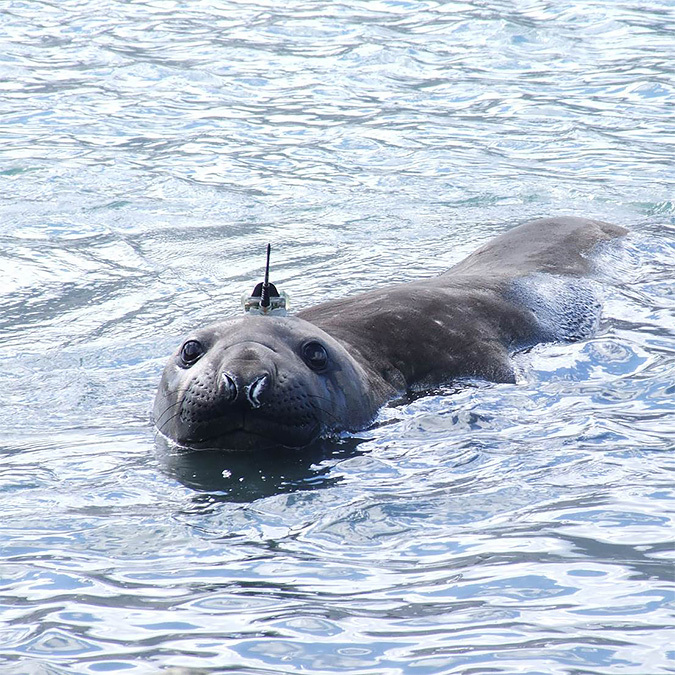 Seals that are in close proximity to the glacier will be tagged and released with sensors that will report back on physical seawater conditions. Seals are the perfect candidate to gather data on the environment of the glacier as they are able to travel to places that are unsafe for humans, like underneath the ice shelf. Scientists are hoping that this data will allow us to make more accurate predictions on glacial melting and global warming. If action is not taken and the entire glacier melts, it will result in a two-feet rise in sea levels. Rising sea levels can flood wetlands, cause aquifer (naturally occurring underground water storage) contamination, pollute agricultural soil, and destroy fish, bird, and plant habitats. While scientists are still working to gather definitive evidence that the melting of the Thwaites glacier is anthropogenic (caused by humans), it is predicted to be a result of human action. This melting should be a sign to both scientists and the general public that climate change is going to have negative consequences. We should be taking preventive actions now before it is too late.